Safety is important to stakeholders and managers here at Signature HealthCARE of Spencer County. We recognize the importance of keeping our facility, residents, and stakeholders in the safest environment possible. We strive to always remember safety first. 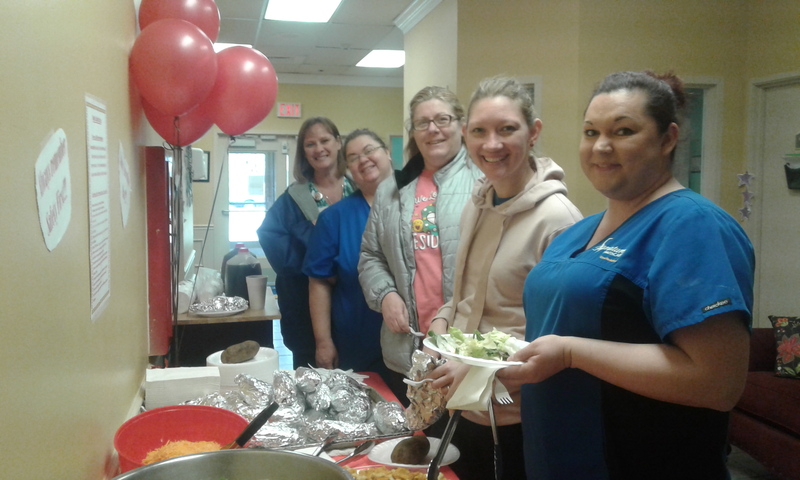 Today we celebrated our record of good safety practices with a “Safety Day Incentive” luncheon with a baked potato and salad bar. We are so blessed with having an excellent team of dedicated and hardworking stakeholders. Keep up the good work!